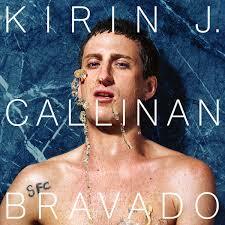 The follow-up to 2013’s Embracism, Bravado is the sophomore album from Sydney based oddity Kirin J. Callinan, cementing his place as one of the strangest, but most exciting, upcoming Australian artists. One of Callinan’s great attributes is that he doesn’t waste your time; the forty-minute track list here is packed with features, genre-bending tracks and Callinan’s ‘I’ll do whatever the damn hell I please’ eccentric attitude. Perhaps the most hilarious moment on the album comes on ‘Big Enough’ where Callinan ends the song by literally listing off dozens of countries as an act of ‘unity’ before deciding to end the song by uniting three large world religions in a tone much as an announcer would declare the heavyweight champion of world: “Christianity! Islam! Judaism!” One can’t help but think this is a parody of mainstream pop artists making big (but ultimately hollow) statements like The Black-Eyed Peas on ‘Where is the Love?’ or every disaster relief song Bono has appeared on. Callinan’s lyrical aesthetics are not for everyone, but for those who enjoy irony and surrealist imagery there is plenty to sink your teeth into here. Don’t write this album off as just a vehicle to tell a few lyrical jokes though, the instrumentals here are great with some great soundscapes, beats and guitar lines. Much as his lyrics are unpredictable and challenging, the instrumentals too vary greatly from track to track, from club bangers to piano ballads. The diverse sounds on the album leads to the listener never being able to settle, which is a large part of Callinan’s aesthetic, but it may be a turnoff to some as it gives the album a bit of a disjointed feel. Overall, the colour and energy that Callinan’s eccentric personality brings to Bravado make it one of the more interesting and exciting Australian pop releases in the past few years. Next ArticleI Hate My Body but That’s Okay, Right? I Hate My Body but That’s Okay, Right?